Give your friends and family what they really wish for from Frith. 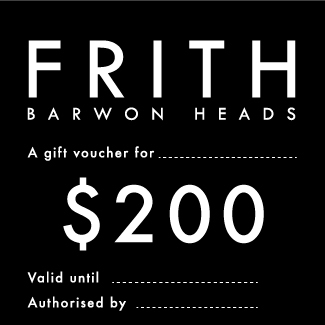 We have gift vouchers available to purchase online for $100 $200 and $300. 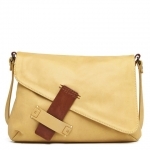 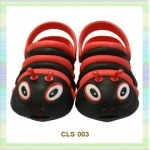 Simply select the amount and add to your shopping cart. Once your purchase is complete we will send to your email address a gift voucher which can be printed and personalised to be redeemed in our beautiful store in 58 Hitchcock ave, Barwon Heads. 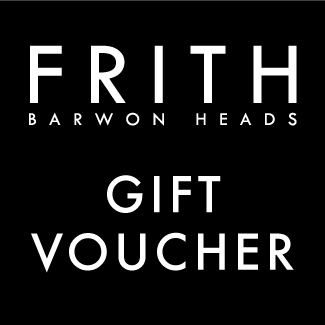 If you would like to use the Gift Voucher for an online purchase please email us directly at info@frith.com.au and we will organise this for you.